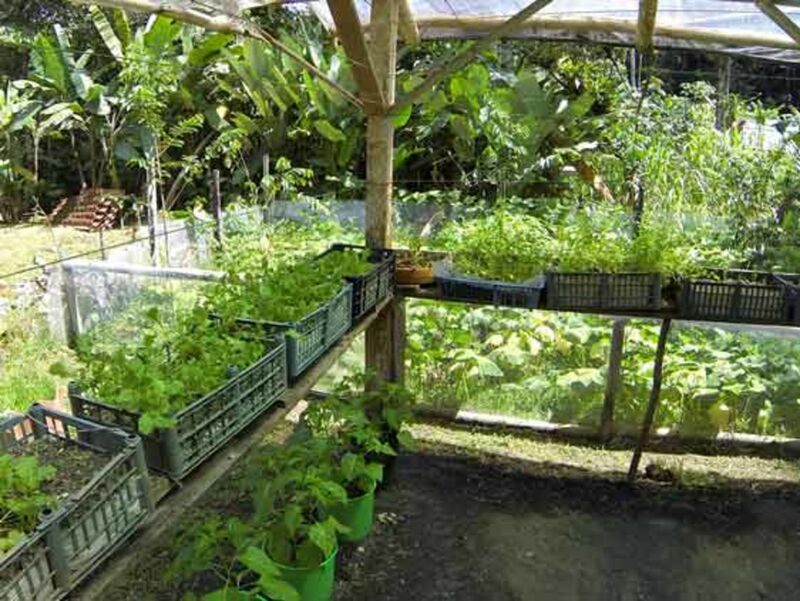 It is the policy of Esquinas to make a minimal impact on the surrounding environment. Our mission is to combine sustainable tourism with conservation and community development while offering guests the opportunity to experience an untouched tropical rainforest. Esquinas Rainforest Lodge is proud to have been awarded a three-leaf Certificate of Sustainable Tourism (CST) by the Costa Rica Tourism Board ICT. We are one of few lodges in Costa Rica that are 100% carbon-neutral due to the reforestation of thousands of rainforest trees in nearby La Gamba. For more about the CST program, click here. All six miles of trails in Piedras Blancas National Park are situated on one 116-acre plot of primary and secondary rainforest that was saved from logging by Rainforest of the Austrians in 1992. This plot is surrounded by more than 3,000 hectares of untouched primary forest. The construction of our lodge in 1994 was monitored and controlled by the Rainforest Alliance, which submitted written reports about measures against erosion and pollution. Our pool is fed by a natural stream and is cleaned with a water pressure pump. We do not use any chemicals in our pool. We collect used water in sealed septic tanks with biodegradeable anaerobic filters, after which it is cleaned through a drainage system of rocks and sand. We don’t use hardwoods from the rainforest, neither on building nor on furniture (we use mainly plantation wood and bamboo furniture). We use disposable containers, packing and cans and give bottles and metal to local people for reuse. We produce our own organic vegetables and fruit, marmalade, juices, mayonnaise, bread, chocolate and seasoning. We separate waste into organic and nonorganic waste and give processed leftover food to our staff to feed their animals. We don't use plastic bags in the toilet bins. We compost paper and organic waste and use it as fertilizer. The kitchen has its own wastewater treatment plant. We use biodegradable detergents and sun dry our towels under a transparent panel. We don't use artificial bird feeders. We don't have pets and don't feed the resident caimans. We don't use chlorine, disenfectants or aromatic devices. 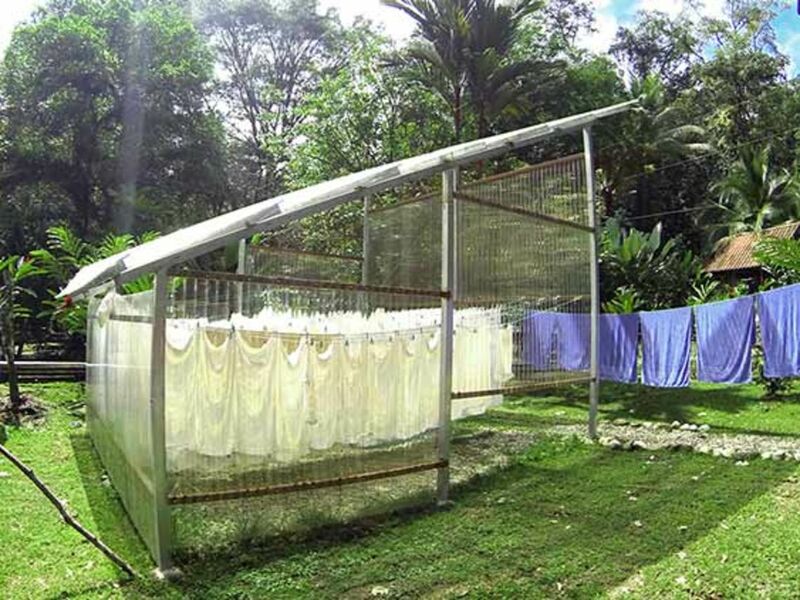 We sun dry our towels under a transparent panel roof (we use a gas dryer when needed). We use energy-saving light bulbs. We don't feed the resident caimans who live in our ponds. They came here on their own and can leave whenever they want because they are not fenced in. 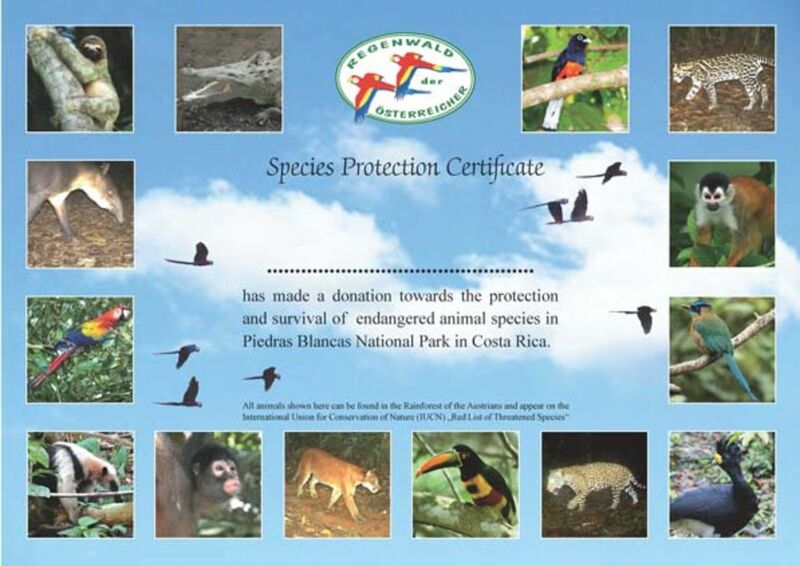 We sell "adopt-a-tree" certificates for land purchase in the biological corridor and donate the proceeds to Rainforest of the Austrians. We employ night guards to prevent hunters from entering the forest through our property. We donate funds to Fundación Corcovado to pay for the salaries of park wardens. We show guests films and give lectures about conservation projects in the Esquinas Rainforest and in the Osa Conservation Area. We have planted thousands of trees in La Gamba to offset our yearly carbon dioxide emission and have been officially certified as a carbon-neutral business. We hold regular meetings with park functionaries, park rangers and hunters. 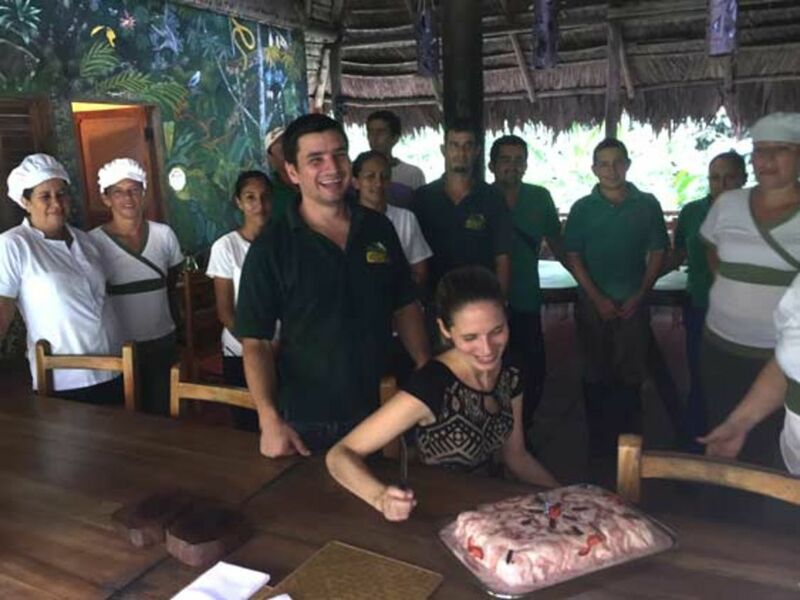 We provide free accomodation to government and non-government environmental organizations such as MINAE, Fundación Corcovado or Osa Conservation. We support the wildcat conservation program of Osa Conservation by installng camera traps on our trails and arranging lectures for our guests. Esquinas Lodge and its vehicles emit approx. 29 tons of carbon dioxide each year. Scientists from the University of Vienna determined that 2334 trees were needed to offset these emissions. 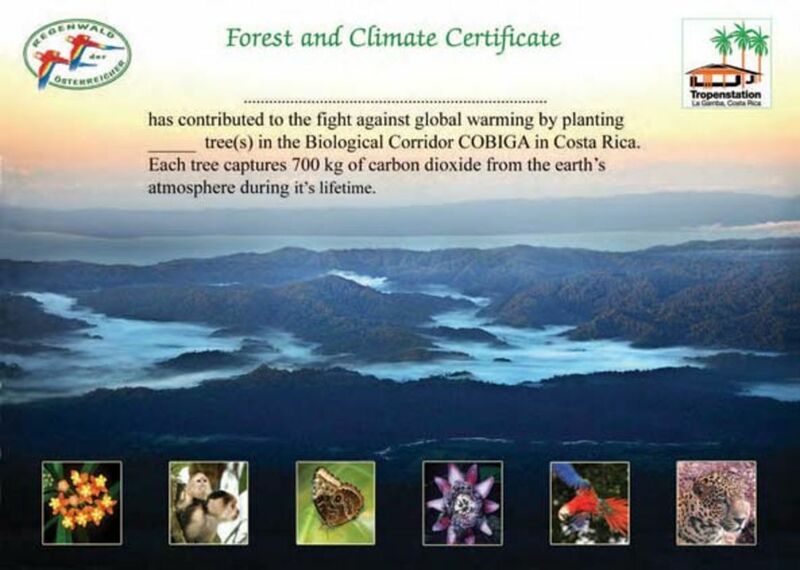 By donating more than $ 80.000 for the reforestation of 5000 trees. 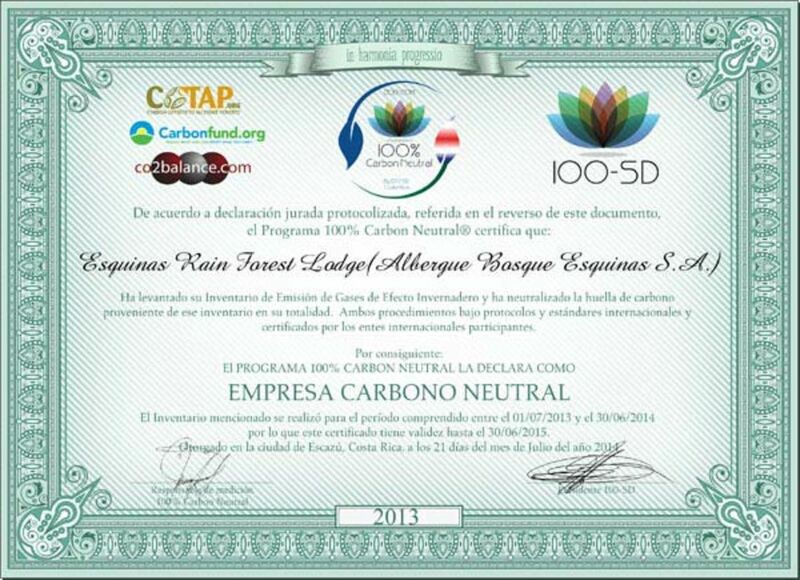 Esquinas Lodge has been certified to operate 100% carbon-free. Except for our office staff, all employees come from the local village of La Gamba. 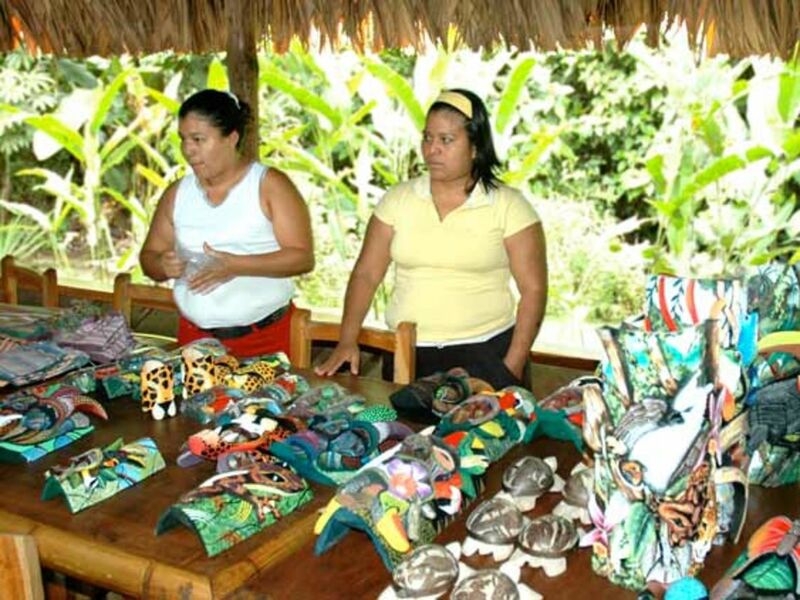 We support local craftsmen and indigenous people by buying or selling their products. 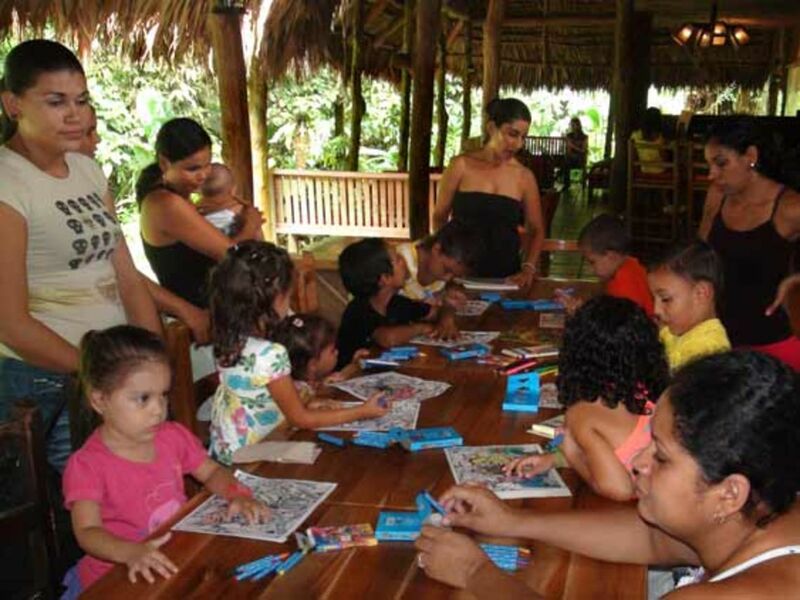 We support local activities such as dances, fiestas, children’s day or exhibitions. 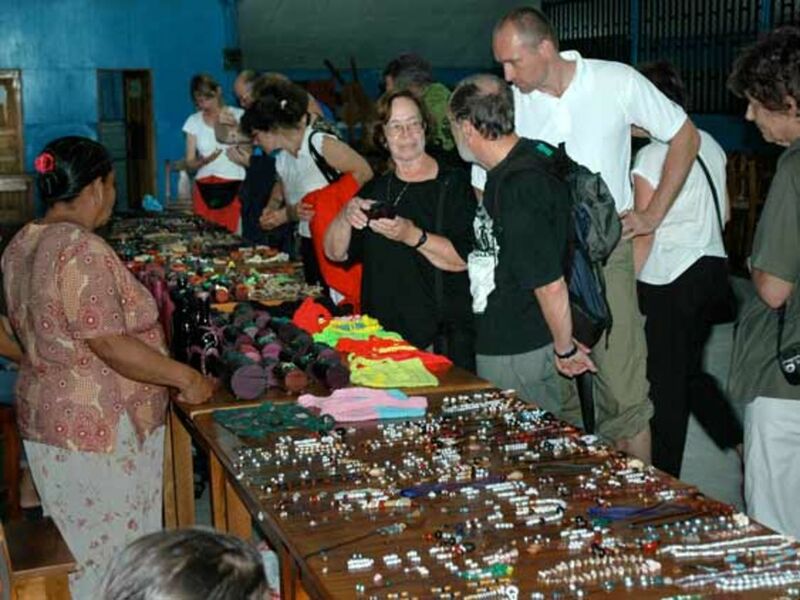 We purchase agricultural products, soaps, shampoos and souvenirs from locals. We donate materials to the school and support cultural activities. We hold regular meetings with the school committee and the community association. We have donated more than $200,000 towards community projects in the town of La Gamba. Our La Gamba fund has financed a new potable water system for 70 houses in La Gamba and the construction of a health center, a police station and playground. We have renovated the school and the community meeting hall. We help to fix roads and bridges. We give short-term loans to citizens of La Gamba if an emergency arises.